Vote in the People’s Choice Awards! EYE-Q Vision Care is proud to serve our community each and every day. Since 1956, we’ve been bringing the latest advancements in eye care to the Central Valley. We’ve been the People’s Choice for 11 years, but we’ve spent many more serving our patients. 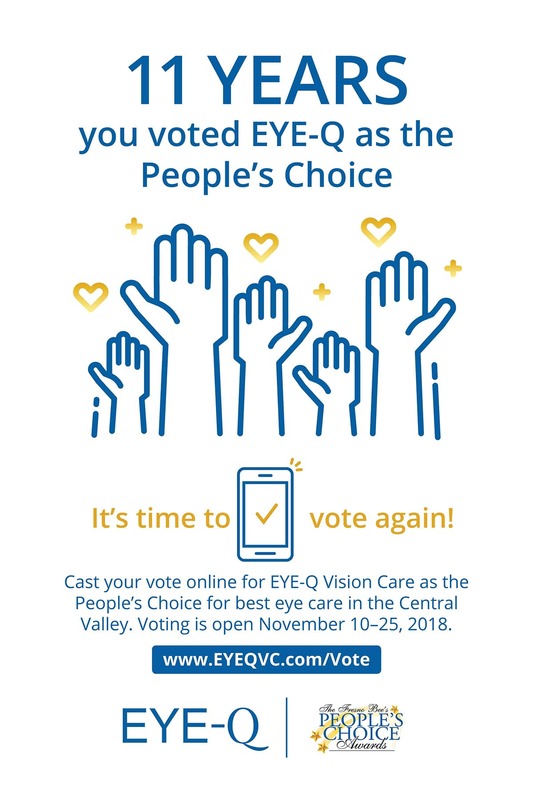 Visit The Fresno Bee’s 2019 People’s Choice Awards website today to cast your vote for EYE-Q Vision Care as the 2019 People’s Choice for best eye care in the Central Valley.